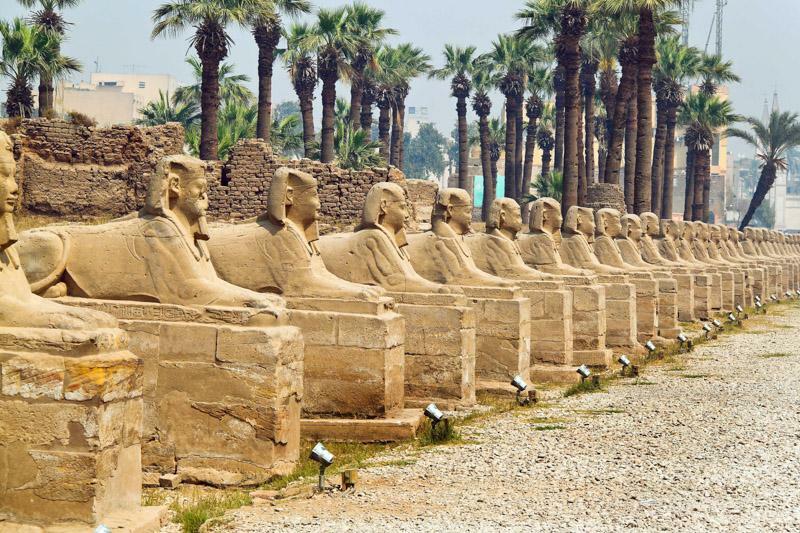 Egypt excites with its history and monuments, but the experience isn’t about connecting the famous photos. 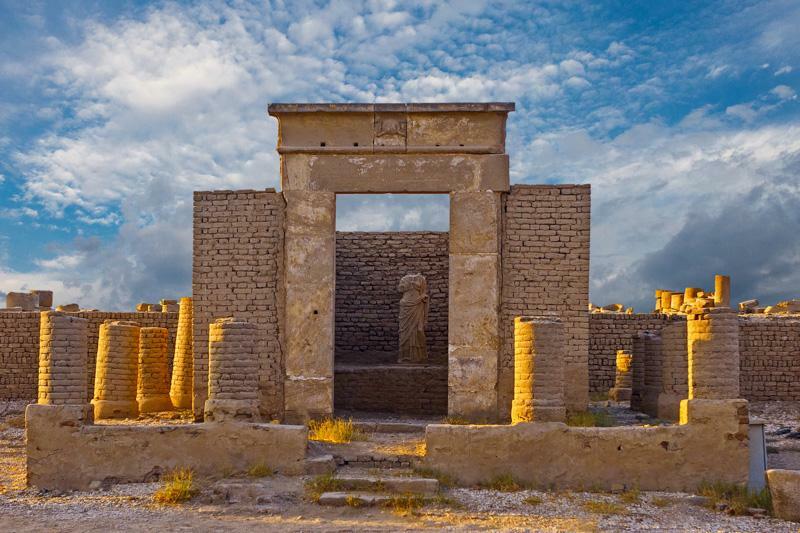 This three-destination family tour is hands-on and interactive, with private guides breathing life into the antiquities, revealing the mysterious secrets that enchant all ages. 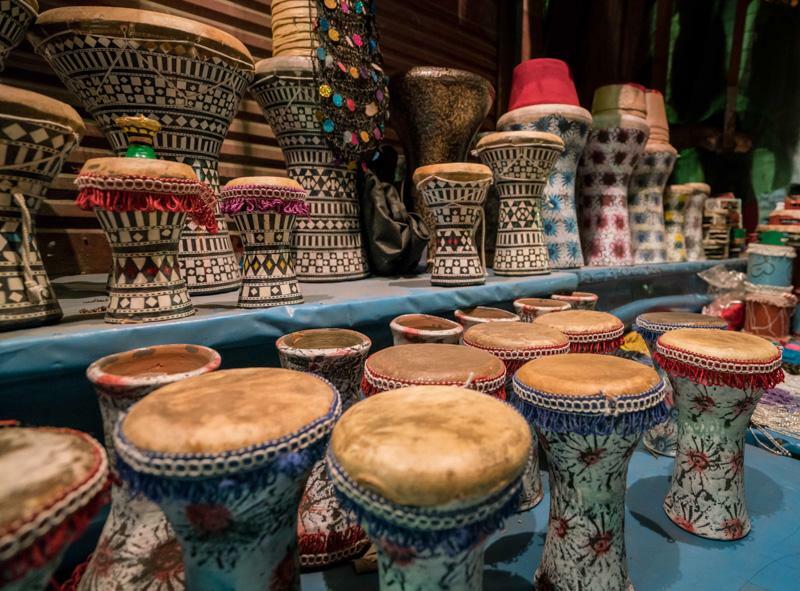 Featuring camel rides, Red Sea relaxation, King Tut, and lessons with master craftsmen, this handcrafted tour reveals the very best of Egypt from a family-focused perspective. 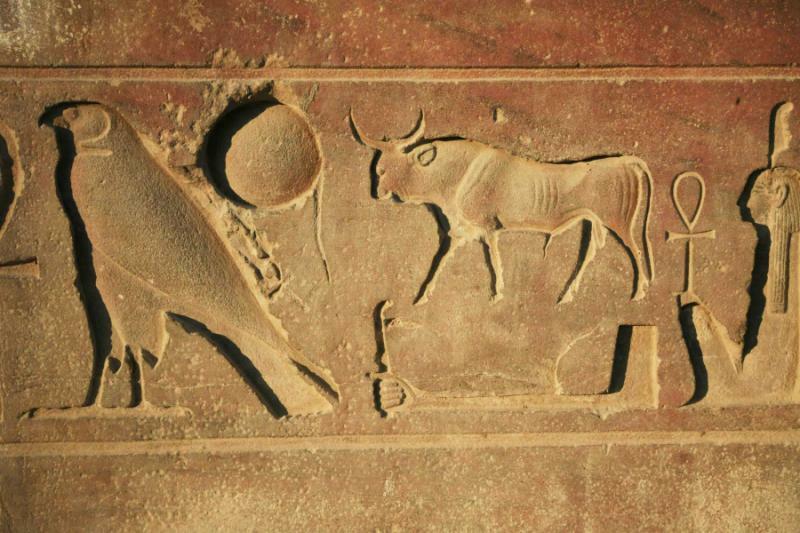 Egypt’s monuments promise mystery and magic. The Great Pyramids of Giza standing proudly after all these years; King Tutankhamen’s tomb rising out of the desert, and spectacular temples lining up along the Nile River. 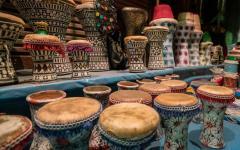 But a vacation to Egypt isn’t just about photographing the famous icons or going through reams of historical information. It’s an interactive adventure that excites those of all ages. 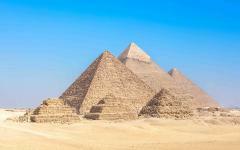 Climb inside the pyramids and explore their legacy on an interactive tour. Join master craftsmen and learn how the monuments were built by getting your hands dirty. Explore the past on private tours with Egyptologist guides, the stories tailored towards your family’s interests. 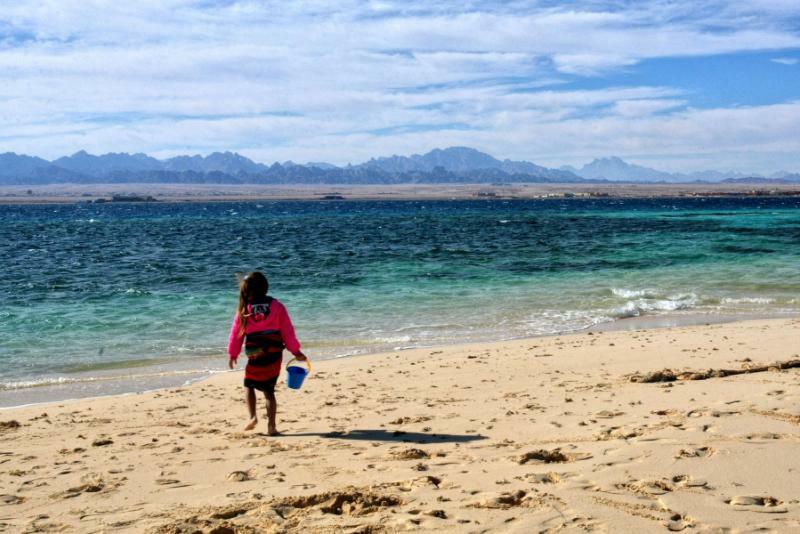 With this hands-on family itinerary, you’ll go beyond the mystery and magic, uncovering the best of Egypt from your perspective. 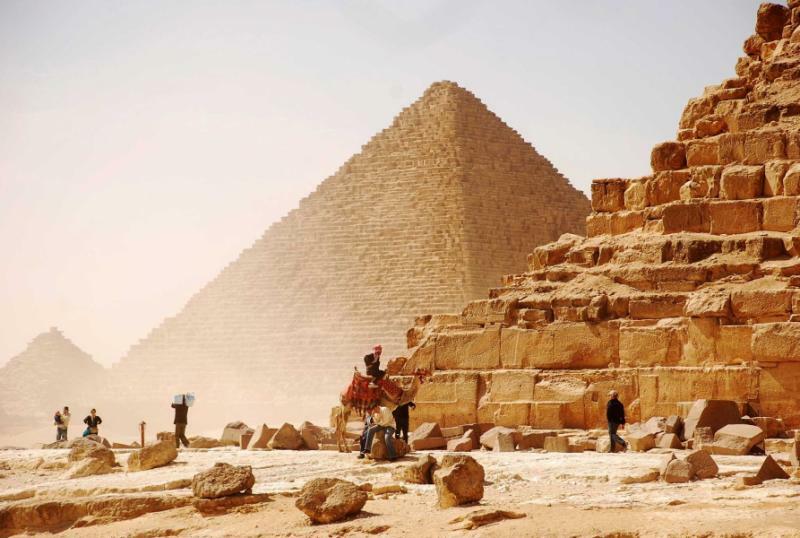 The 11 days are split over three distinctive bases, starting with three nights at a hotel overlooking the Great Pyramids of Giza. 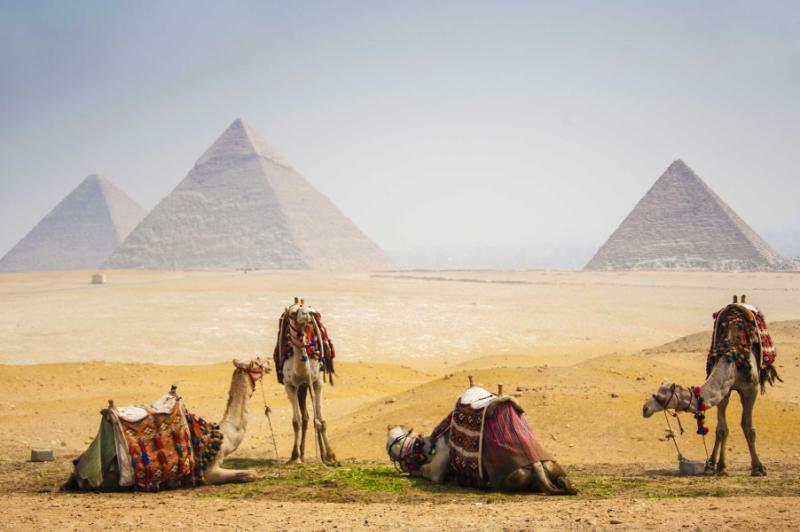 You’ll be riding camels into the desert at sunset, going behind the scenes at the pyramids, standing beneath the Sphinx, and exploring all the treasures left behind by King Tutankhamen and the other pharaohs. All of the tours and transfers are private, with the relaxed pace helping to ease you past all the bustle of the capital. 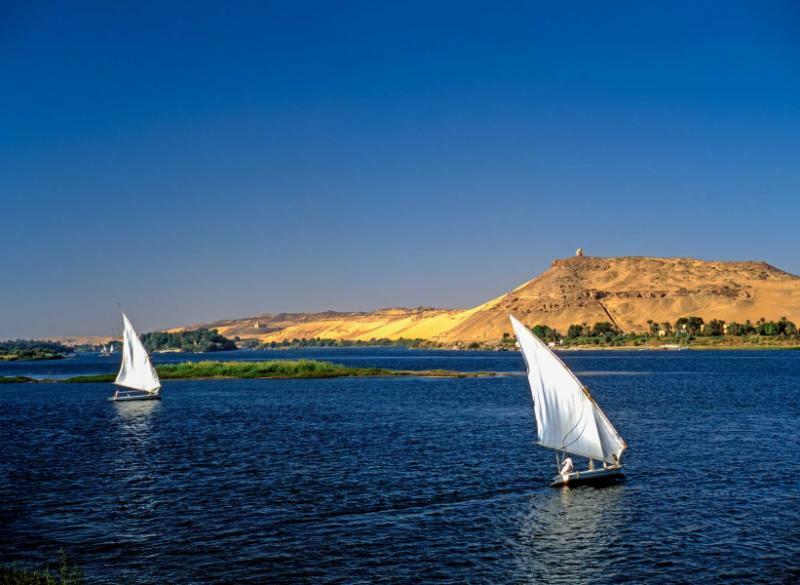 Fly to Aswan for three nights aboard the Movenpick Royal Lily, a majestic cruise ship that journeys down the River Nile. This is the most relaxed way to discover the treasures along the riverbank, the luxury vessel connecting remarkable temples and tombs. 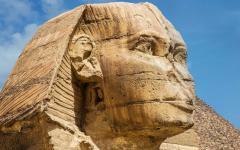 In Aswan and Luxor, you enjoy private tours, climbing inside King Tut’s tomb and walking through the history. Again, it’s all tailored towards your family’s interests, and there’s a fabulous wealth of detail to explore. 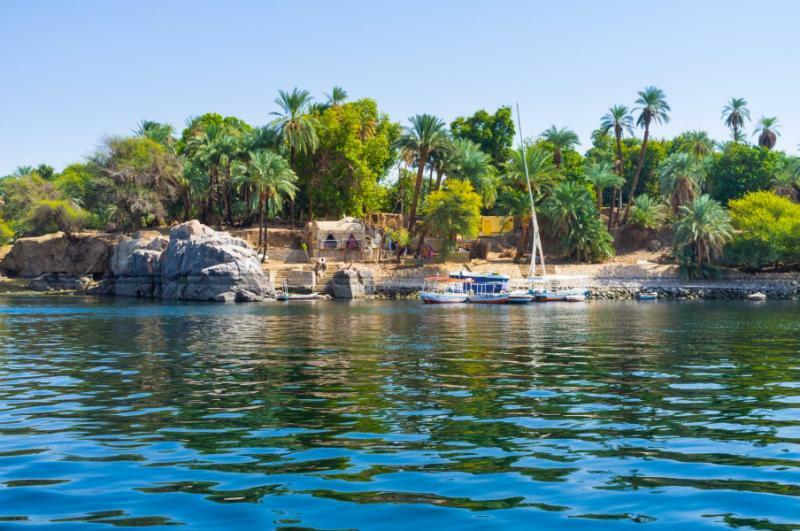 During these three days, you’ll also be visiting island craftsmen on a traditional sailing boat, wandering through the legends of the Valley of the Kings and Valley of the Queens, and enjoying traditional entertainment on board. 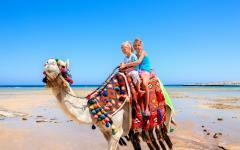 After the history of ancient Egypt, you complete the vacation on the exotic waters of the Red Sea. Your five-star resort has a private beach, and it’s easy to spend the three days lounging beneath the sun umbrella. 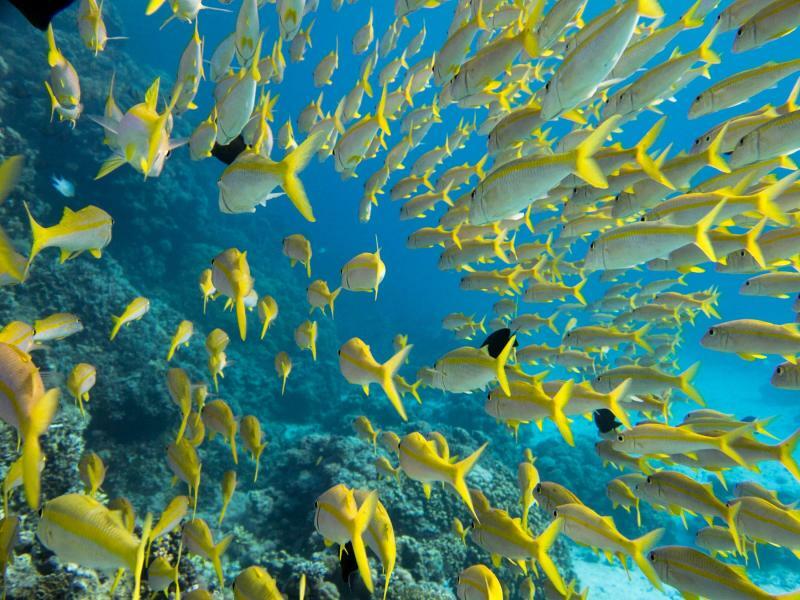 The calm tropical waters are perfect for children and adults to go snorkeling, with the colorful treasures from the deep easily found around the local reef. A number of optional activities can also fill the days, from discovery scuba diving to boat journeys into the sunset. All transfers are private throughout the itinerary, and the handpicked guides help you explore Egypt without any of the hassles that’s sometimes attributed to the country. 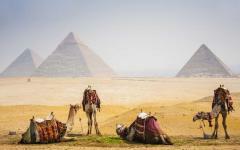 A mere mention of the word Egypt has almost everyone conjuring an image of the pyramids. Whether aged six or 66, there’s something irrepressible about the ancient wonder of the world, something that dances with the imagination. So where better to start than the monuments that have inspired visitors for over 3,000 years? Your family will be greeted at the airport by a local guide and assisted in clearing customs and immigration, including obtaining the visa on arrival. Then transfer to Giza, a desert suburb that’s now incorporated into the city of Cairo. From the hotel rooftop, you enjoy sublime views over the Great Pyramids of Giza. It’s a sight that takes the breath away, one that reveals how the imagination usually misses out on one important detail about the monuments: their size. Everyone can dream about this ancient wonder of the world. Now your family stands on the hotel roof, wondering how something so old can be so colossally big. A number of good restaurants can be found within an easy walking distance of the elegant five-star hotel, and the jasmine-scented gardens are ideal for recovering from the flight on your free afternoon. Staying so close to the pyramids ensures you get to explore way before the crowds. 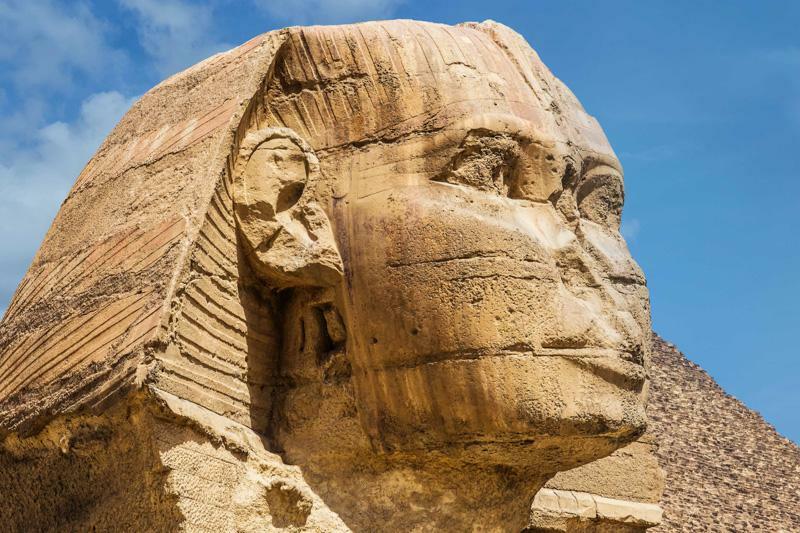 In the magical morning light, an Egyptologist guide takes you past the Sphinx of Giza to these marvels of the past ages. You stand at the base of the pyramids, admiring how each stepped tier is taller than most children. You then climb the steps and enter one of the pyramids, taking a look inside the tomb and the inscriptions that say so much about who was buried. Visit the Solar Boat and get a look at how the insides of the pyramids used to look before they were looted, then journey out to Saqqara where the first ever pyramid is located. The morning tour includes a private driver and guide who will tailor the adventure to your family’s interests. 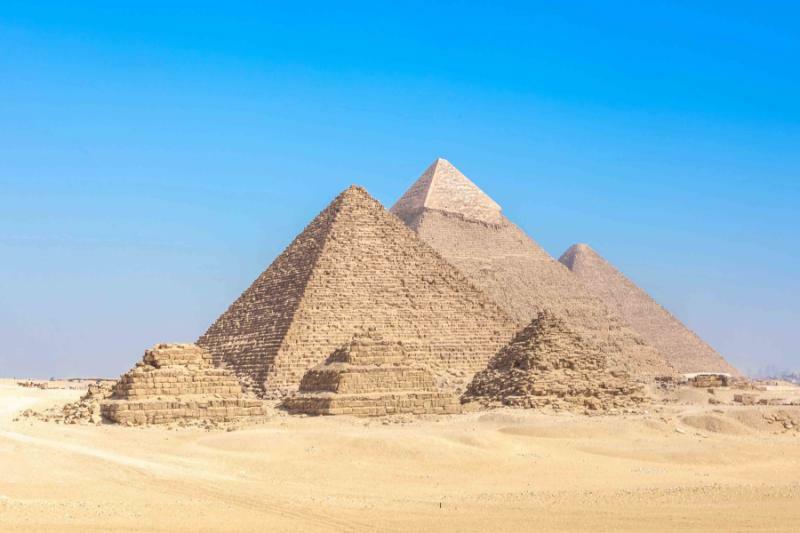 That could be specific stories and information about ancient Egypt or some of the fascinating parts of the pyramids that are missed by most tours. Enjoy a buffet lunch at a local restaurant then return to Mena House Hotel for a few quiet hours in the afternoon. 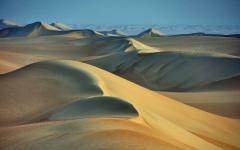 Before sunset, you’re transferred to the desert for a camel ride across the sand. As the sun sets, it sends a kaleidoscope of colors across the desert, burning reds and flowing yellows reflecting off the panorama of pyramids. 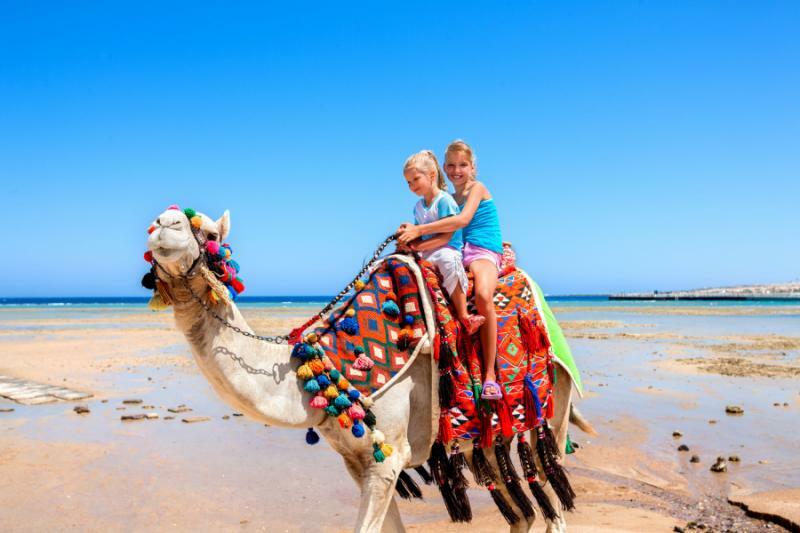 Riding slowly, your family gets to embrace the ancient way of travel in Egypt, each footstep across the sand an adventure into the mystique of history. You return to the hotel after sunset, where a number of local restaurants provide a relaxed place for evening dining. 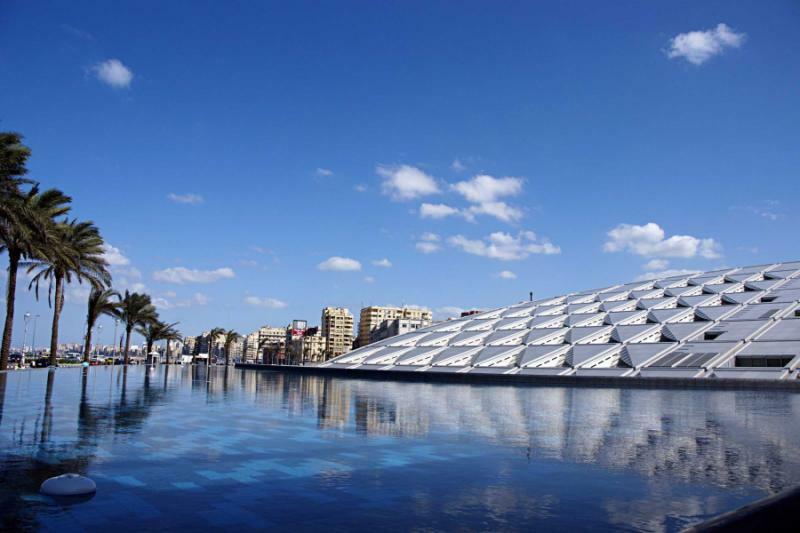 The Egyptian Museum of Antiquities isn’t the everyday historical museum. It’s a chest of gems and treasures that can wow anyone and everyone. It’s where the findings from King Tutankhamen’s tomb can be seen in all their shimmering detail, and the wonders buried with ancient queens can be gazed upon with awe and fascination. This is a huge museum, and it’s easy to get lost amongst the seemingly endless galleries of artifacts. 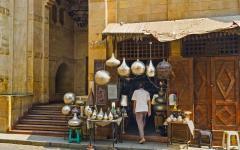 Your private guide tailors the visit, handpicking the most fascinating of the treasures into a two to three-hour tour. The rest of the day can lead your family in a number of directions. 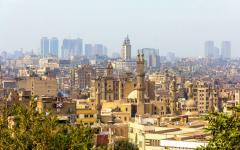 Perhaps Coptic Cairo and the medieval alleyways filled with old churches. Or maybe to colorful markets, where all manner of fruits and spices can be found. Cross the bridge to the district of Zamalek and soak up the luxury of modern Cairo’s most affluent suburb. 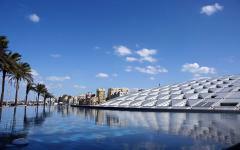 Or return to the hotel and spend a relaxed afternoon taking in the pyramid vista. With a private guide, you can spend the afternoon exploring your own side to this remarkable city. In the evening, you set off on an elegant dinner cruise, gliding past Cairo’s illuminated skyline as you dine on a myriad of traditional and international dishes. Entertainment is provided, with folklore and dancing shows providing more detail about life back in ancient Egypt. 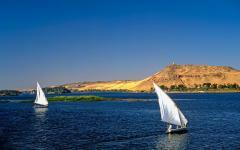 It’s an easy journey to Aswan; a private transfer to Cairo International then a short flight that traces the route of the Nile River. You’ll be picked up in a private vehicle and transferred to the Movenpick Royal Lily, an elegant cruise ship that brings an air of Swiss hospitality to the banks of the Nile. For the next three nights, you’re staying in interconnected staterooms with majestic views over the water. The boat is large enough to explore, with multiple sun decks and a restaurant overlooking the icons along the riverbank. It also retains a feeling of intimacy, and the air-conditioned boat caters well for families. After checking in, you spend the afternoon on a different vessel, a traditional felucca sailboat that takes your family on a private journey around the islands of the Nile. 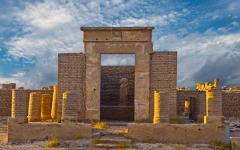 Meet master craftsmen and get a hands-on lesson in how the ancient monuments were built. 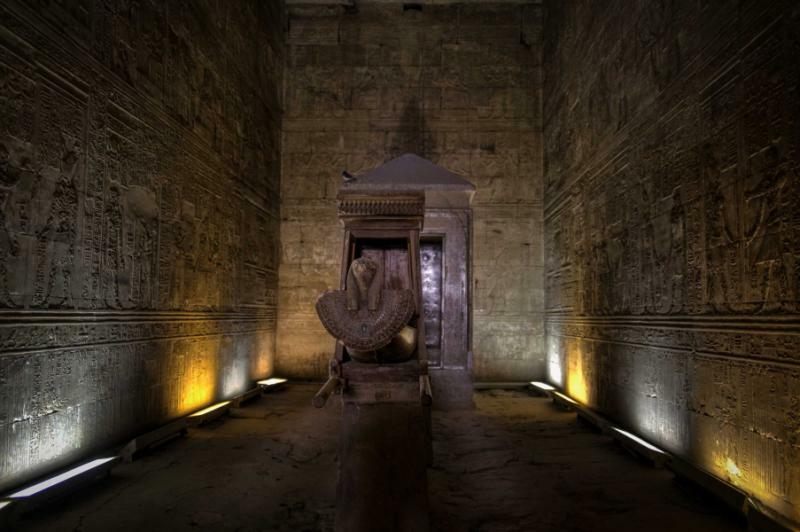 Visit the Temple of Philae and get your first taste of the grandeur that exists in this part of Egypt. Cruise to impressive gardens and set sail through the islands, with an opportunity for the children to learn about how to sail and steer these impressive ancient boats. Before sunset, you return to the Movenpick Royal Lily for a dinner that’s accompanied by music and entertainment. You cruise slowly and elegantly, the Royal Lily passing the temples and tombs that line the Nile River. This is the classic way to explore Egypt, sitting back to watch the attractions rise from the desert-like phantoms. Disembark at the remarkable Kom Ombo Temple, where there are many tales to tell about the crocodile and sun gods. Sail past traditional villages, where mud-brick dwellings are sporadically dotted along the banks. Continue further towards Luxor, docking in Edfu where another night of entertainment takes your family through the sunset and into the evening. 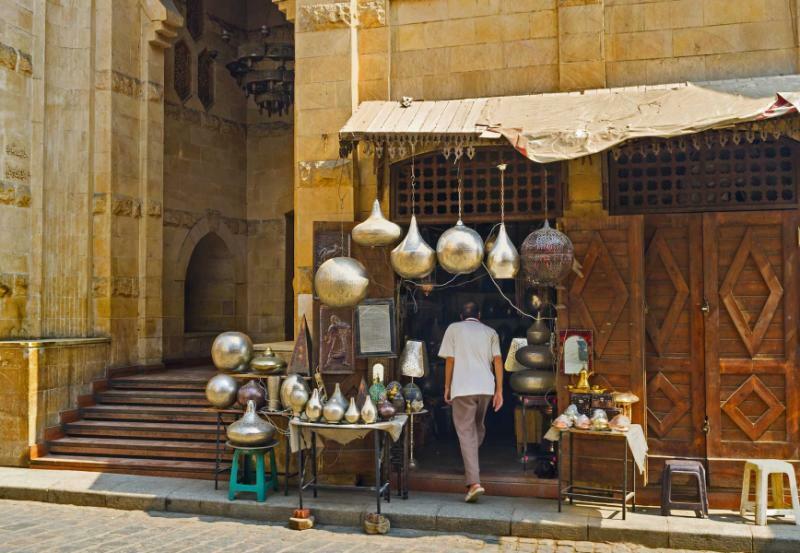 Cruising along the Nile River is the ideal antidote to exploring Cairo, one that reveals the colorful bustle of the past, the other an enchanting journey where time seems to stand still. As you cruise further, the monuments seem to become more and more elaborate. Stop at the Temple of Horus, its dramatic size always impressing children with a question: How could something so big be built so long ago? 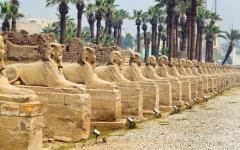 Continue to Luxor, where you explore the East Bank with a private guide. There are so many stories to tell here, every set of hieroglyphs and inscriptions another chance to elaborate on the world of the old dynasties. You’re not just visiting temples. You’re visiting some of the world’s oldest and most extravagant monuments, compelling in their size and captivating in their detail. 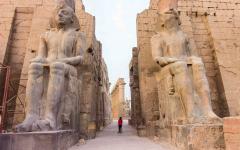 You start at the Temples of Karnak, where the columns rise dozens of meters into the air. They look perfect for a children’s game of hide and seek. And while it’s not advised to go hide, by seeking out the corners, your children can lead you to the hidden parts of the temple, where your guide takes over and tells about what life was like for children in the days of the dynasties. 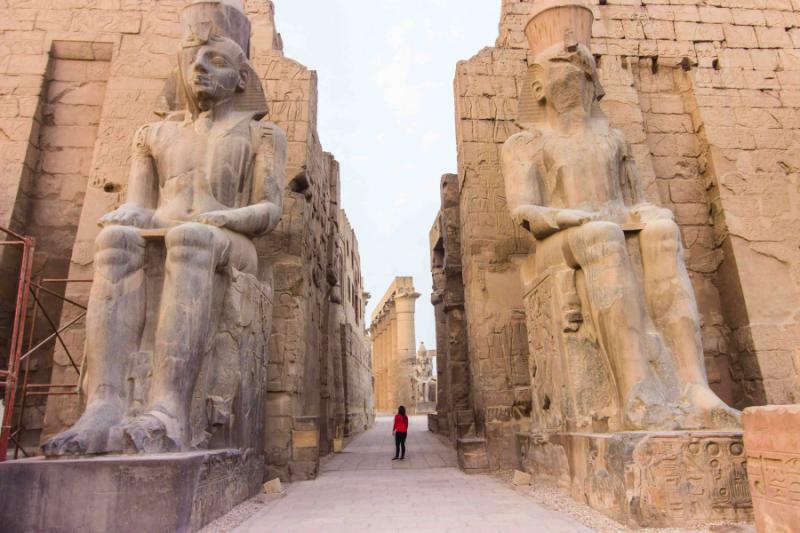 Continue down the old Avenue of Sphinx, where a few remaining sculptures glimpse at the grandeur, into the mammoth Temple of Luxor. Of all ancient Egypt’s icons, including the pyramids, it’s often the Temple of Luxor that remains most ingrained in the memory. You spend a final night on the Royal Lily, docked on the Nile, with the world’s greatest open-air museum spreading out on both sides of the boat. This family-friendly tour of Egypt saves the best story until last, that of the boy king Tutankhamen. It’s this legend that often proves most captivating for children, and there’s so much to tell. 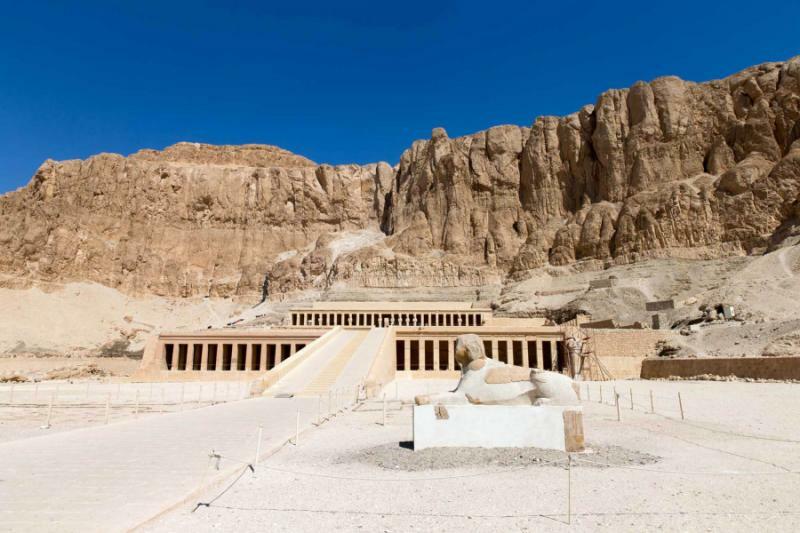 In the Valley of the Kings, you’ll start at King Tut’s tomb, walking down the steps and feeling the musty atmosphere that holds over 3,000 years of history. 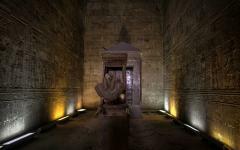 Other nearby temples and tombs can also be visited, and the Egyptologist guide takes care to pick out the best of what’s on offer, preferring to explore a few in-depth rather than visit temple after temple after temple. 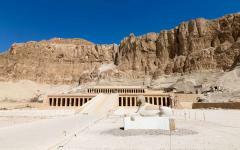 Another great narrative comes at the Valley of the Queens and the mortuary temple of Queen Hatshepsut. Spread across three tiers, it’s very different in style, offering a chance to discuss the female pharaohs. As always, the tour is fully private with both a driver and guide. You can leave all your luggage safely in the vehicle as you explore Luxor’s West Bank, then go for a buffet lunch at a local restaurant. In the afternoon, you head to the airport for a flight to Sharm El Sheikh via Cairo, landing in time for sunset colors over the Red Sea. 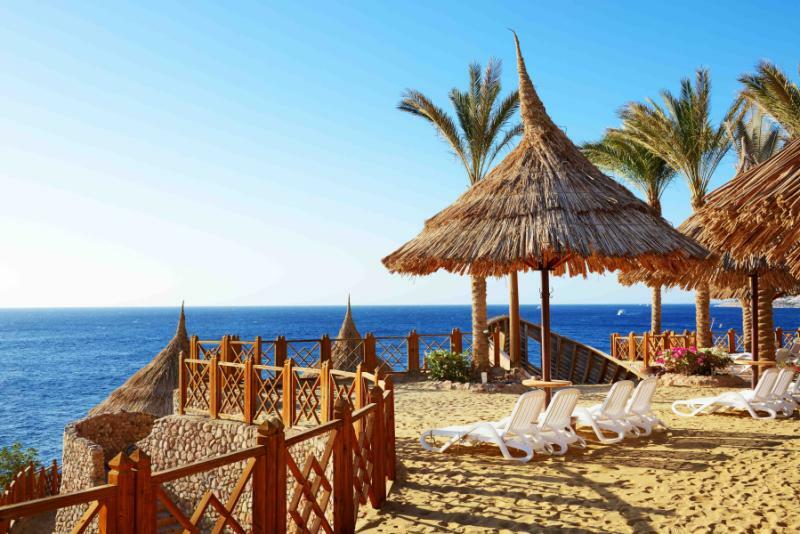 The next four nights are spent in the five-star Hilton Sharm Waterfalls Resort, where your interconnected rooms have balconies with inspiring sea views. 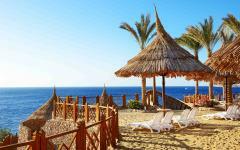 Sink your feet into the soft sand, take a drink from one of the bars, explore the different restaurants, and settle into the bliss of the Red Sea. Open the curtains to the soft breeze that drifts in from the Red Sea. Wander barefoot through the resort, stopping at one of the pools or continuing to the private beach. A small reef can be found close to the sand and is ideal for novice snorkelers, the calm water filled with the giant marine creatures brought up from the depths. You could spend these days beneath the sun loungers, either around the pool or on the sand. 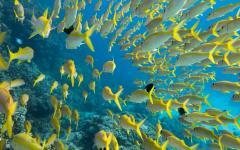 Or you could fill the days with activities, with options for deep sea fishing and boat excursions. There’s a scuba diving center within the resort, which offers courses that are suitable for most ages, including Discover Scuba Diving. 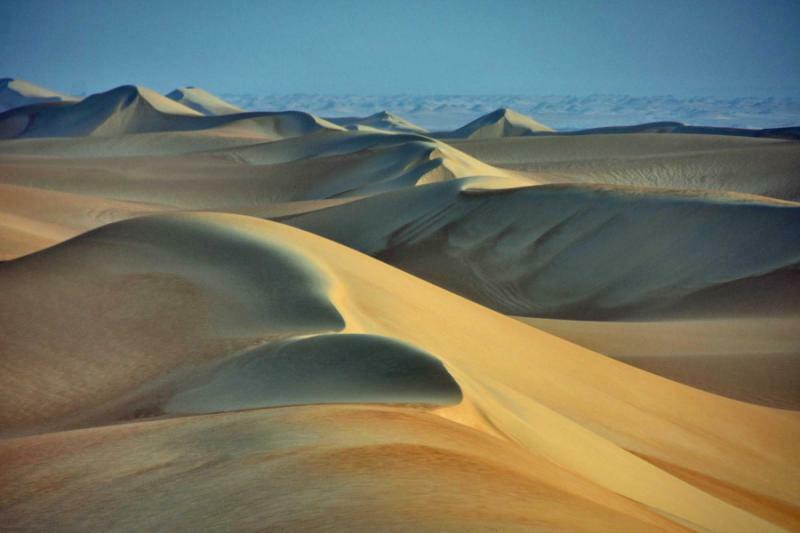 Included in your vacation is an afternoon excursion into the desert, a guide leading you out on ATVs to a sublime sunset spot. Along the way, you’ll stop at a Bedouin tent for some traditional sweet tea and an encounter with another of Egypt’s great stories. 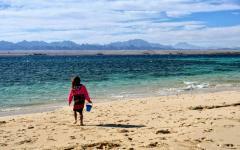 After ten days exploring Egypt, the family adventure comes to an end along the shores of the Red Sea. Take in the last view of the exotic waters, perhaps go for a final snorkel, and then head to the airport for your departure flight. After seven days discovering ancient Egypt, you cherish the three days on the beach, reliving the stories of the past on the sand. As always, the transfer to the airport is private. "I could never have arranged a vacation like this on my own." "The trip was a great success. It had the right mix of..."
"Upon her return, the client contacted us and said that she had a great trip."